It’s something we had talked about doing since before we moved into this apartment over a year ago. The walls were dirty and really needed some TLC. (Apartments don’t automatically get painted between tenants here; it’s often up to the renters, not the landlord, to repaint. Actually, more than the walls were gross, but we’ve learned to throw out things like the broken mops, pantyhose, and Guanyin wall hangings that we find in apartments.) It would be much easier, we knew, to paint before we moved our stuff in. But, it seemed like there were just so many reasons that conspired to make painting not happen. For one thing, trying to organize painting in one province while packing up in another was too much. Once we moved in, we were much busier than we had anticipated and time just flew. Plus our funds were especially tight, making it tough to find money in the budget for paint. Lastly, the landlady had only agreed to a one-year lease and we knew there was a good chance she might not re-new, so it was a gamble to invest in painting. I AM ALL NESTED OUT. When we initially saw this place, I was already redecorating it. In my mind, I was putting a positive spin on the yellow bathrooms, with grayish tile accents, and the kitchen that features terra cotta tile, mint green cabinets, and cream counters with embedded gold glitter. 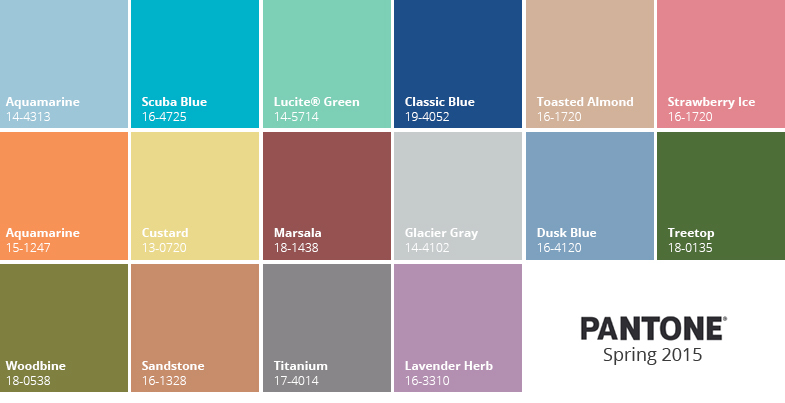 This apartment is 100% ON TREND for the Pantone Spring 2015 collection! It’s already got like half the colors! It will be like living in Fashion Week! But the enthusiasm rapidly drained. 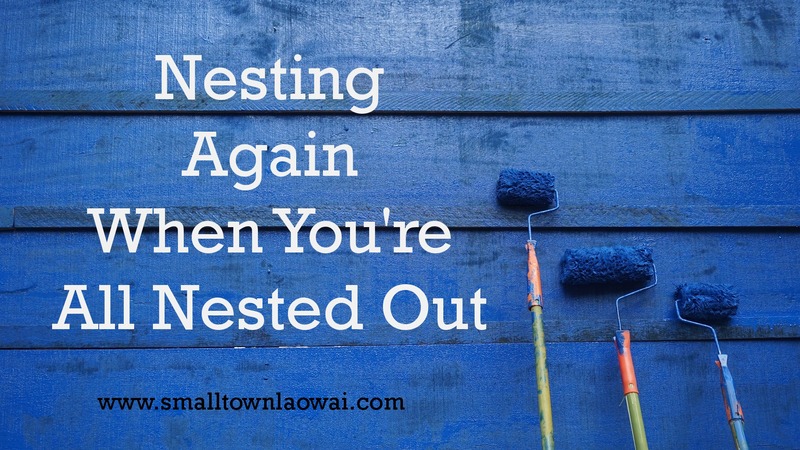 The reality is, I am tired of nesting. We have moved more times than I know how to count, and in each place, I’ve had to make an effort to get us settled. In the beginning, it was actually fun; now it’s draining. Emotionally and budget-wise. It’s tough – we have to make these decisions over and over again, and not just for our apartments. Do we invest in relationships even if it’s only for X months? Do we invest in routines, rhythm, and traditions, even if we might not be able to keep them up after this year? Do we get a dog??? The answer to those questions is usually yes, even when our hearts are sad at facing those same questions again. After all, “‘Tis better to have loved and lost than never to have loved at all.” And maybe, ’tis better to have painted and moved than never to have painted at all? Tennyson probably decorated no matter how many times he moved. Yup. So, we decided it was better to make at least a partial effort to settle our home, though we’re not fixing everything that bugs us about this place. We still have a budget to stay within, after all. We painted (yay!) but only the front rooms. The bedrooms will have to just have dingy walls. We decided we’ll live with all the light fixtures as they are: a fun collection of Ugly and Broken. All in all, this apartment has far less craziness than our last place, where the kitchen and bathrooms expressed their feelings much more openly and in more colors, too. Here, the stuff that bugs us is pretty subdued. I mean, I meant to rip these things down the day we moved in, but now I’ve almost stopped being conscious of the fact that these hooks are cows. 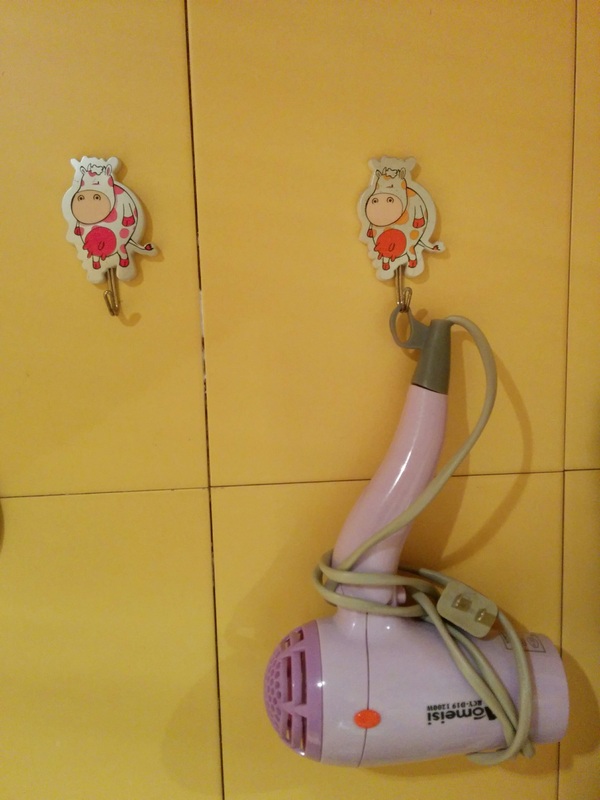 I hang my hair dryer on a cartoon cow, friends. Well, that’s the good thing about moving so often. It’s only 10 months until I will be rid of the cows and moving into the next nest! And will I invest time into settling that place, too? I hope my answer will be yes. The theme this week at Velvet Ashes is “Nest.” Does the thought of nesting again make you feel excited? Or worn out? Love your posts, Emily. Passed your recent entry along to some friends who’ve recently returned from China. Nesting does take a crazy amount of extra energy. And yep, there have definitely been times when I opt out. Yay for painting walls! From one frequent mover to another, thank you for this post!! I actually didn’t even get much painting done in the house we owned for 8 years it’s pretty embarrassing! Good thoughts about choosing, because most often I choose not to do anything with the space we stay in. Choosing not to do something is sometimes the best choice. 🙂 Thanks for your thoughts! Love the cow hooks! And there are always stickers that are oh so attractive as well as impossible to get unstuck from the walls, furniture, appliances etc. We have actually been in our apartment for 3 years in a row and are finally painting right now as I write! Even if we can’t have everything just as we want it….I think it is important for the family to have a few things around that makes it feel like “home”. I have one plaque that has always hung in our home and it goes with me back and forth across the ocean to wherever home might be for the next months. It reminds me of this: “God is the strength of my heart and my portion forever.” Ps 73. Love your writing Emily, I always get a good laugh and can so relate!!! I’m glad you can paint, even three years in. I really like the idea of taking that plaque with you no matter which country you are going to be living in. It’s a nice touch of “home” plus a great reminder of Who is our strength. Thanks very much, Julie! For hanging pictures on the concrete walls, we are happiest with 3M Command strips and hooks. Since you’re in a humid climate, you may need to let them “cure” for 24 hours before hanging things. For heavier objects, it takes more work. If you know of someone with an impact drill (aka masonry drill), that is the best bet. Once you’ve got the hole, you use a plastic anchor (masonry anchor?) with a screw, not just a regular nail. My husband has a regular drill and has used glass bits because that’s all we had, and that has worked but he doesn’t necessarily recommend that route. Hope that helps! I hate the process of hanging things on walls but I am always happier once we’ve got stuff up. Thank you so much for that advice! I bet those strips will go nicely over the craters I’ve already made :). It’s very humid here and everything sags and melts if it involves adhesive, so I will take your advice and let it cure. I also found out the hard way that Blu-Tack is a no-no. It melts into the wall so that it’s impossible to get off, and the pictures just kind of slide down the wall and then off when they reach the end of the Blu-Tack. I DO have a photo of the pigs somewhere. Imagine how much more surprising they were to me then than they’d be to me now! I actually assumed most owners would say no to painting, so I haven’t been brave enough to ask, but now that we’re sure we’re staying here for a while, I absolutely am going to paint the next apartment. Thank you so much for the inspiration! You’re only the second person I’ve ever seen who’s painted their apartment! I hope the curing actually works! I remember having the same problem with sticky tack in Guangxi, but we had better luck with the Command products. Most landlords we’ve talked to might seem wary of painting at first, but once you say you will pay, they are usually okay. 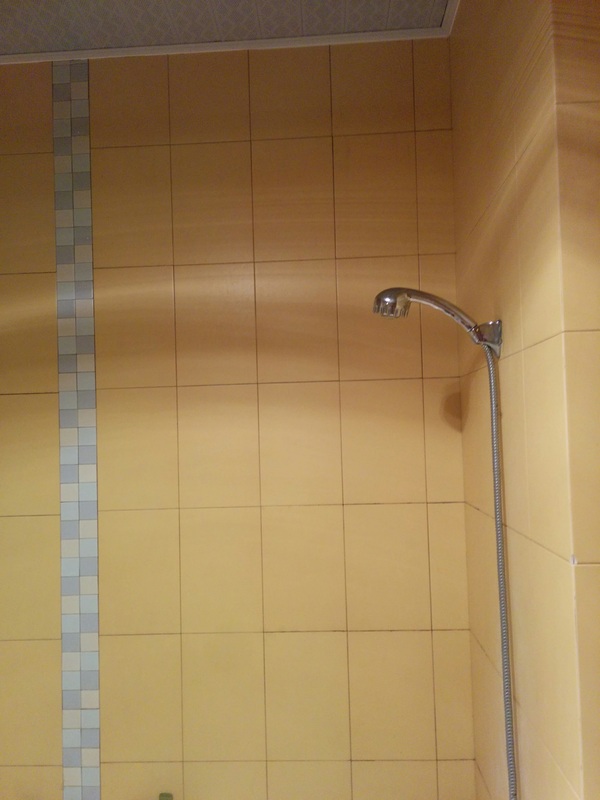 It also helps to promise to paint it white again before you leave. We’ve never actually had to do that because they have all ended up very happy with the colors we’ve chosen and didn’t want to go back to white. Just a few more tips that I hope help! This resonates with me. I’ve moved so often I’ve kind of given up nesting. Though I did manage to get pictures hung in my current house. I’d love to paint over my 70s era fake wood veneer panelling and bright mustard coloured internal doors, but it’s just too much effort, especially as we know it’s not long term…. I agree that sometimes, it’s best to just choose to live with stuff as it is, even if it is fake wood and mustard yellow. Thanks for sharing, Ruth! We were surprised at the cost of paint, but it was more like 350/can, I think. Maybe that is about what you’d pay in the States nowadays? I am really out of touch for U.S. prices for paint for some reason. 🙂 It was the cheapest grade of paint (vs. powdery whitewash). It was at a Nippon store and they were running a special where we got a free can of base coat with purchase of two cans of paint. Since the walls were so grimy, we definitely needed the base coat, so it worked out really well. We have had/heard enough bad experiences with painters here that my dear husband is adamant about doing the job himself. We are happier with the results! 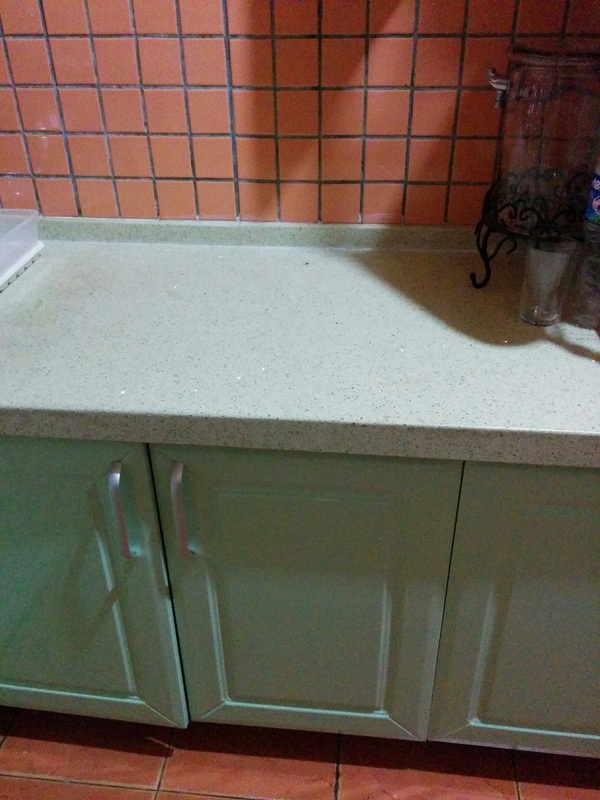 No paint diluted with water, no paint drips and globs all over the house, and no cigarette butts to clean up. 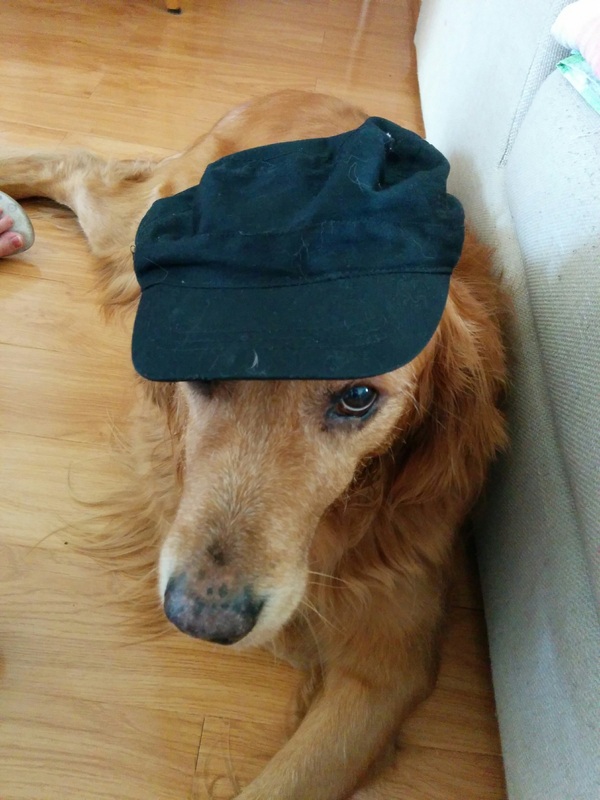 Emily, I just finished Week One in our new place so your post was well-timed. I immediately “nest” wherever we go – even in hotel rooms – organizing, re-arranging (hotel staff hate me), making sure we can function in whatever space we happen to be living in. I spent a lot of this last week nesting, and though it was necessary, I’m worn out because I don’t know where to get anything! Most people here speak decent English, but most English lessons don’t include “over the door hanging shoe organizer” or “un-ugly kitchen towels.” (Seriously – I bought a set of kitchen towels and brought them home to wash … upon unfolding them I discovered cartoon carrots smiling at me! *sigh*) There are a number of foreign chains here but they have the prices to match. Plus, I don’t know how long we’ll be here until we can move into more permanent housing. So, like everyone else – how much do I invest in making this house a home? Thanks for the post.